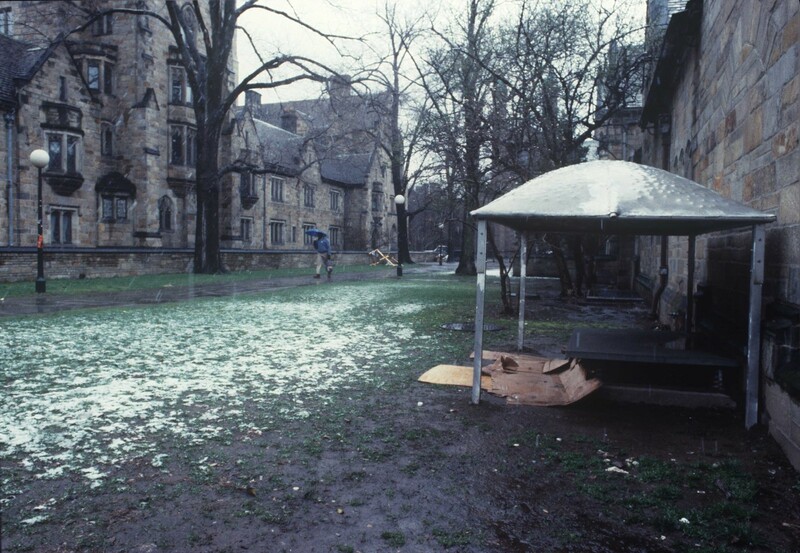 This temporary sculpture, a shell of pounded aluminum, was created with the permission of Yale University and the participation of homeless individuals in New Haven. 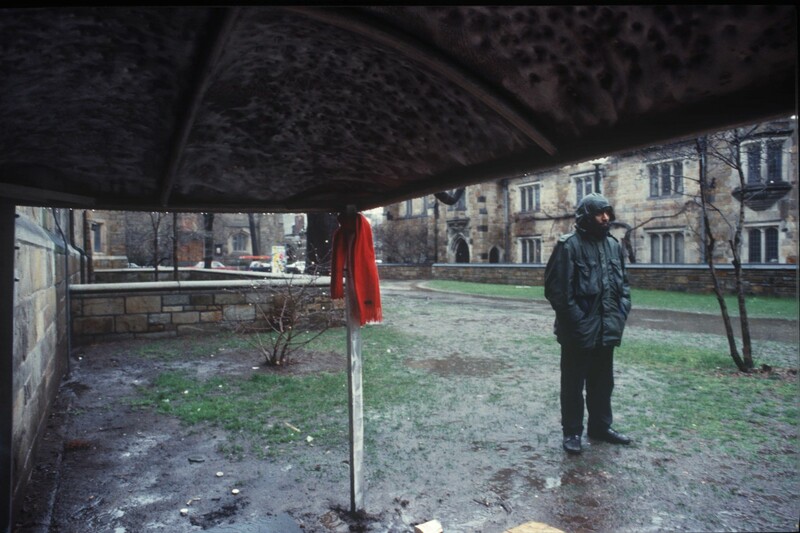 It was created to sensitize the Yale community to people, often overlooked, but with whom they shared a public space. 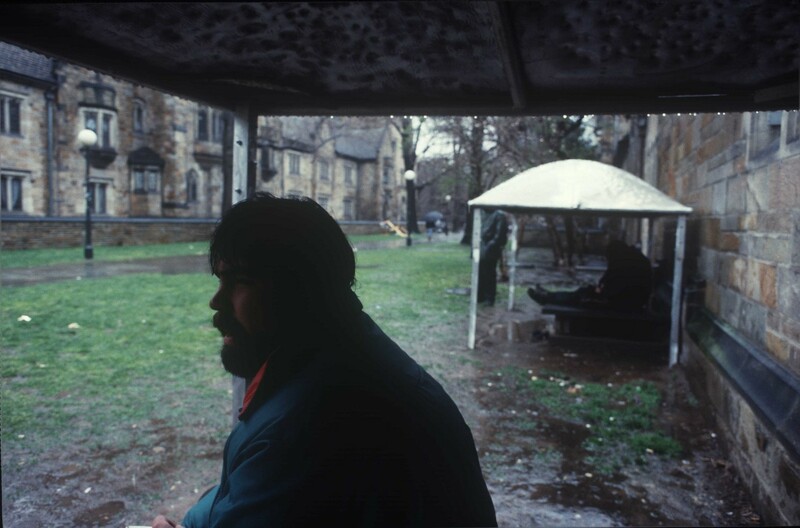 For many years the walkway between Jonathan Edwards and Berkeley Colleges, two of Yale's undergraduate housing facilities, was a place where homeless people regularly sought warmth from the cold during the fall and winter months. The Awnings Shelter was built over the heating grates on the walkway and installed for six weeks, where it functioned as public art installation and provided protection from bad weather.